The Ronald McDonald House Charities (RMHC) is a nonprofit organization whose mission is to create, find and support programs that directly improve the health and well being of children. Tina Snider, director of communications for the RMHC of Central Texas, spoke with us about this exciting campaign. “Our whole mission is to support families who have children in and out of the hospital, so we wanted to bring a lighthearted essence to this campaign,” Snider said. The RMHC of Central Texas purchased red and white striped socks and distributed them to key community influencers throughout Central Texas, including radio stations, TV networks, newspapers and all of their major donors. “We’ve had some pretty cool people participate, like Jim Spencer, the weatherman on KXAN, Sen. The Wear Your Stripes campaign started on Oct. 8 and will continue to the end of the month. 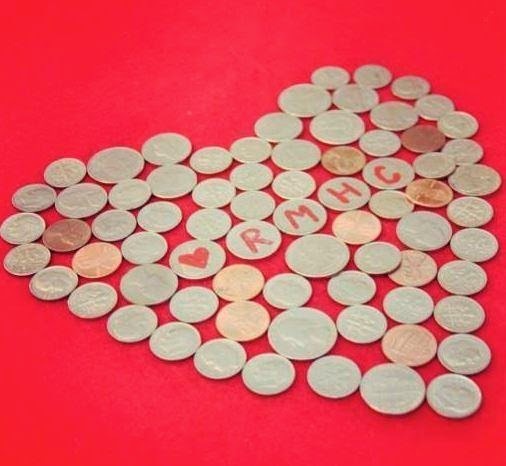 Although the movement was started by a local RMH, several other chapters are participating through social media. The RMHC of Central Texas created the hashtag #forRMHC so everyone can see and share their support on social media. Snider also said they are feeding the photos tagged on Instagramand Twitter to their Facebook page. The response of the campaign has been positive. The 40th anniversary also coincides with another event called Day of Change, which is on Oct. 15. On this day, McDonald’s restaurants worldwide will encourage people to donate their spare change in the donation boxes located at the counter and drive through window. “This is the first big social media campaign we’ve done,” Snider said. The RMHC of Central Texas uses social media to spread brand awareness and to feature what the organization does in the community, allowing opportunities for the public to get involved. The RMHC of Central Texas recently unveiled two kitchenettes they had installed into their facility. These kitchens were installed into the rooms of families that require lengthier stays due to their child going through treatment. Support the Ronald McDonald House Charities by sharing your striped socks photos with the hashtag #forRMHC. You can also support them today during the Day of Change by donating your spare change at the nearest McDonald’s restaurant!